I haven't been home to visit my parents in a while (say, um, since Christmas?! 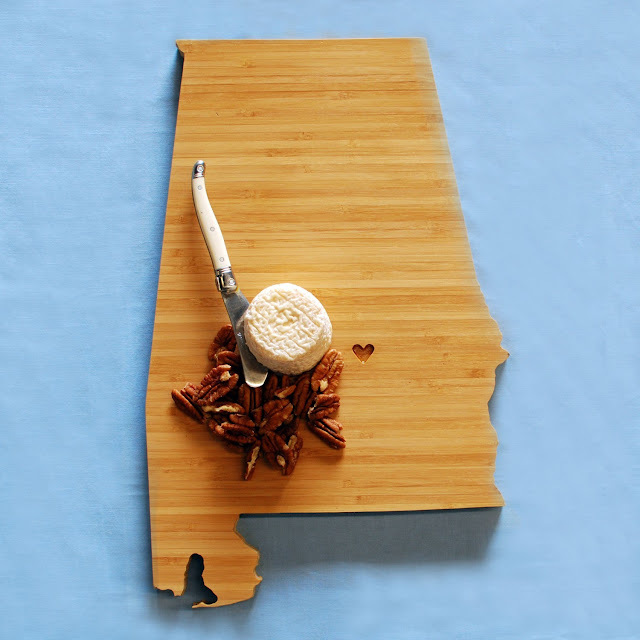 ), so I am in the great state of Alabama for few days. I'm hoping for some relaxing time with family and the menagerie of animals at home. Maybe I will even catch up on blogging! I hope NYC doesn't miss me too much. That place won't last long on the cutting board. And shouldn't that heart be on Auburn? !